You’ve heard of gamification. Everyone has (and if you haven’t, just ask us.) However, some eLearning modules are passed off as games without proper consideration. Sure, badges look pretty and leaderboards promote internal company violence competitiveness, but they rarely help anyone. These games’ gimmicks only leave users with a fleeting experience of having learned anything. Here’s an outlandish thought - why not base your gamified learning off actual games? Imagine a world where users learned skills applicable to their daily lives instead of slowly clicking through your training program. We’re not just talking about making things ‘fun’. We’re talking about making an impact. Candy Crush-esque games that promote rapid, repetitive motion are out. Lateral thinking, slow-building, strategic puzzlers are your new best friend. We’ve listed ten games that any eLearning professional should play and learn from. Hint: you’re going to have to use your brain. A lot. “Do you like pushing buttons and shouting at your friends?” Even if you said no, you should still try Spaceteam. This is a free mobile app that requires team cooperation - you can’t play this by yourself. You and up to five others act as a team controlling a constantly deteriorating spaceship weaving its way past wormholes, asteroid showers, and black holes. A unique control panel on each player’s screen displays commands relevant to other players’ panels. These instructions must be communicated (shouted) and completed within very short amounts of time. Each level increases in difficulty, allowing less time to execute more complicated orders. Spaceteam emphasises team communication, efficiency, and working toward small goals. You must always be prepared for unexpected issues. When your team fails (and they will fail), you can expect laughter and a collective sigh of relief. This game gets intense. Note: There is also a card version for that traditional round-table feeling, but the app’s entertaining 8bit graphics and sound effects give it an extra edge. Mutiny is an 8bit browser game by British company Nitrome. If you liked the 90s battle strategy game Worms, you’ll like Mutiny. The game sets you up as a pirate crew battling rival crews with an assortment of weapons. Some levels handicap your team through unfair crew ratios, difficult terrain, or hard-to-control weaponry such as the banana bomb. Mutiny gives you plenty of time to assess resources and predict consequences, so it’s worth creating a plan of attack. Sure, the game can be completed by throwing banana after giant anchor after banana at your enemies, but a strategic approach will see you progress much quicker with higher scores. It's the perfect way to practice your tactical decision-making, especially if you involve other players/coworkers. Five hours before the release of the official 2007 game, a Flash version of Portal popped up. The game has a simple premise: find the exit and go through it. Like the original game, Flash Portal is a puzzle platformer that follows a test subject’s (you) journey through a science enrichment centre. You use a portal gun and linear momentum to move past obstacles, objects, and hazards. The game doesn’t have a time or life limit, so you’re able to plan and test methods of escaping over and over. Flash Portal encourages careful planning and thinking outside the box in order to achieve the end goal. Patient people may find more success with this game but the satisfaction of figuring out a particularly frustrating puzzle makes it worth everyone’s time. Everyone can benefit from lateral thinking practice so if your boss asks what you're doing, tell them you're expanding your problem-solving skillset. A Dark Room doesn’t seem like much when you first begin playing. Your first scene is a darkened screen with a few lines of text - “The room is freezing. The fire is dead.” You have a single option to light a fire. From there, you can slowly amass wood, villagers, and other resources to build a thriving community. Outside forces presented as ‘events’ influence your village and eventually allow you to wander into a dangerous ASCII world. This game took over our office like a virus. Its minimalistic gameplay is reminiscent of old-school text-based games, encouraging a rich world of imagination. Because of its environmental storytelling and constant need for resource management, A Dark Room allows players to feel in control of the narrative. It’s a beautiful example of “less is more.” It may be tricky to implement a text-only game into your eLearning. However, an easy learning curve and simplistic design are obviously winning ideas, as indicated by our team's addiction to the game. Wikipedia isn't just a wealth of information, perfect for keeping you reading till 2am. It's also a source for a very entertaining game - the Wiki Game. It's a game that can be played alone or with others, involving a race to a specific article. Starting on a random page, the player/s must click links within the article to arrive at a predetermined destination. Winning conditions include time-trials, click limits, or simply beating an opponent. This is our least favourite example of impactful games because of its lack of depth and purely competitive nature. That being said, it's still worth looking to adopt a few of its practices. Prioritising lower click levels encourages users to carefully consider choices and plan efficient pathways to reach a goal. All in all, the Wiki Game is a neat way to practice word association whilst learning. This is a very simple and innocent Flash series by Japanese developer, On. For this example, we’ve picked Grow Cube but the other games in the series follow the same formula. Each game has a number of buttons related to the scene before the player. The game depends on these buttons being clicked, with one particular clicking-sequence resulting in the ultimate ending. The puzzle here is to figure out which button affects the other and in which order. Grow Cube is a sweet game in a series that promotes memorisation and logic. A similar style could prove useful in outcome-based eLearning e.g. a customer service training program. Users could aim to provide the best outcome for a customer via this clicking-sequence game. And if you only take away one thing from this game, choose the cute animations. Who doesn't like manipulating a society of plump, bobble-headed stick people? Going along in the same vein as the Grow series, Little Alchemy is a click-and-create style game. 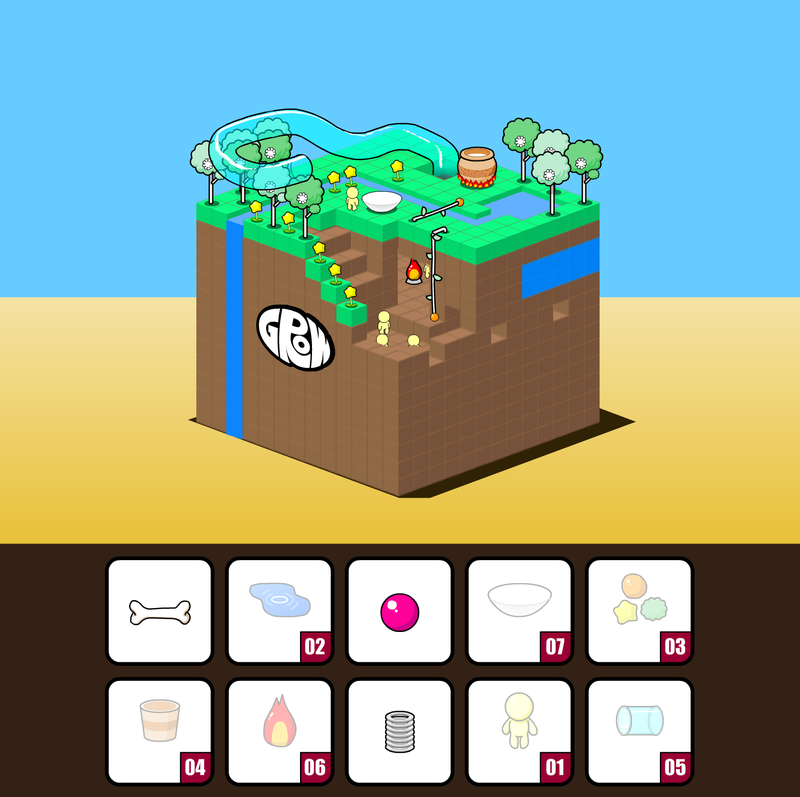 Little Alchemy asks you to predict the consequences of blending simple elements. There is no real goal other than to discover all 500 combinations, making Little Alchemy a game easy to learn. It’s definitely a solo game - the only collaboration you could incorporate is asking for help. Regardless, the game develops its user’s ability to correctly assume the outcome of “if this, then that.” A more workplace-appropriate example could be Human + Happy = Coffee. Or tea, if you're into that. Kittens are cute, so why would you want to blow them up? To win one of the most-funded Kickstarter projects ever, of course. It’s a card version of Russian Roulette with a few extra bits thrown in. Players must draw cards until they draw an Exploding Kitten, at which point they either “defuse” it or die. Other cards can be used to put opponents at risk or give yourself an advantage. Winning is a matter of outsmarting other players to be the last one standing. Note: The artwork for Exploding Kittens was created by The Oatmeal. 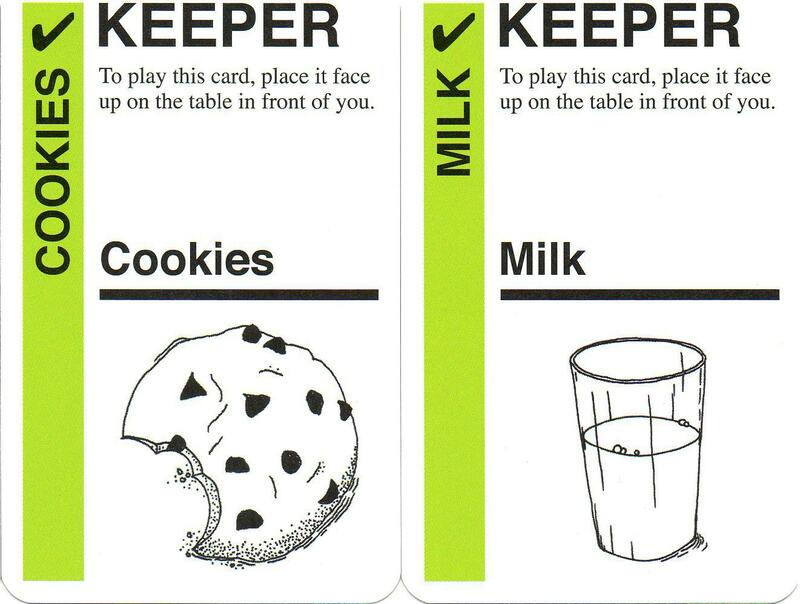 Fluxx is a card game that never plays out as you expect. The game begins with a single rule: draw one, play one. From there, all hell breaks loose. Cards begin to impact the rules of gameplay, including how you win. Because everything continually changes, it's hard to keep track of what's going on. You can win by outsmarting your opponents, but Fluxx is often a combination of strategy and dumb luck. As Looney Labs, creators of the game, put it so eloquently - "Can you achieve World Peace before someone changes the goal to Milk and Cookies?" If we learned anything from Fluxx, it's to lose with grace and dignity. Of course, we also learned to adapt to unexpected situations and use complex rules to our advantage. But really, it's all about not being a sore loser. Your high-school science knowledge is about to go to use. Kerbal Space Program (KSP) is a physics-intensive space flight simulator. PC Gamer describes KSP as a “perfect blend of science and slapstick,” which is an interesting combination. You play as a Kerbal, a Minion-esque alien race that has mastered space travel - to a point. Players must complete missions like moon landings and orbit-stabilisation through the use of real-world physics and logic. Don’t get us wrong, Kerbal Space Program is a tricky one. There are no cheats or magic upgrades out here. The fact that it’s a nearly perfect simulation of complex orbital mechanics means you depart from a learning-heavy experience with the skills to fly a spaceship. KSP is a fantastic example of a game that teaches users to execute intricate plans without taking the easy way out. Space travel might not be in your immediate future, but that shouldn’t stop you from flying to the moon. And there you have it! Let us know if you learn from these 10 games, have suggestions for the list, or just want to speak your mind. Including hate-mail because your boss chastised you for playing instead of working. But that’s not really our fault.